Today is 5 Freebie Friday Linky & Giveaway! It’s a link up of printables for kids, holiday planners, teacher printables and freebies. Well! Everyone loves Friday and Freebies and 5 just makes the alliteration fun so.. why not!?! Especially since Thaleia, of Something2Offer, had an amazing idea to share our favorite 5 Friday Freebies with ya’ll every week and invited me to play! And, if anyone asks…you’re my plus one. Ebooks, printables, planners, you name it if it involves teaching children or home & family, it’s FREE and YOU created it well then you can add it. Be sure the specific post url is up ..not your home page. Just a reminder don’t be tacky, keep it family friendly, no giveaways or for sale items and be sure to give a title and a picture that’ll help people find you and know what the link’s about. We’ll share and celebrate the most clicked of the group with balloons, confetti, parade and gluten free deserts by whomever volunteers. In the meantime link up, follow Thaleia and me, and check out our Featured 5 below. 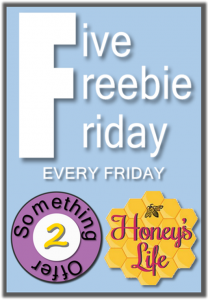 If you’re featured grab one of our snazzy “I’m a Featured 5 on 5 Friday Freebies!” buttons. 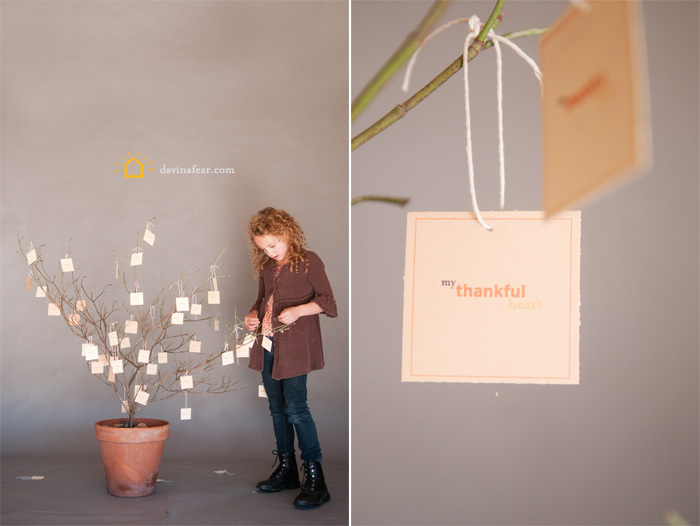 Kristine of Kristine Davidson has made this “Thanksgiving, Grateful them” printables to use in life books. I saw it and thought how neat would it be to have a print out for each kiddo to make something which could then be placed in an album you could add to at each holiday over the year. It’d make a great gift for Mamals, Nanas, Aunts and Mommas. Davina of Davina Fear has this thankful tree. I like to envision as people come in, take off their shoes and coats, they write what they’re thankful for and watch with little smiles as the kids hang ’em on the tree to be read later. I think you could write what you’re thankful for over a week, month, etc. How many ahh’s and tears would there be if you read them every half hour on Thanksgiving day?! You could then bind them all up into a mini book or add them to the album you’re making with Kristine’s Thanksgiving, Gratitude printable ! 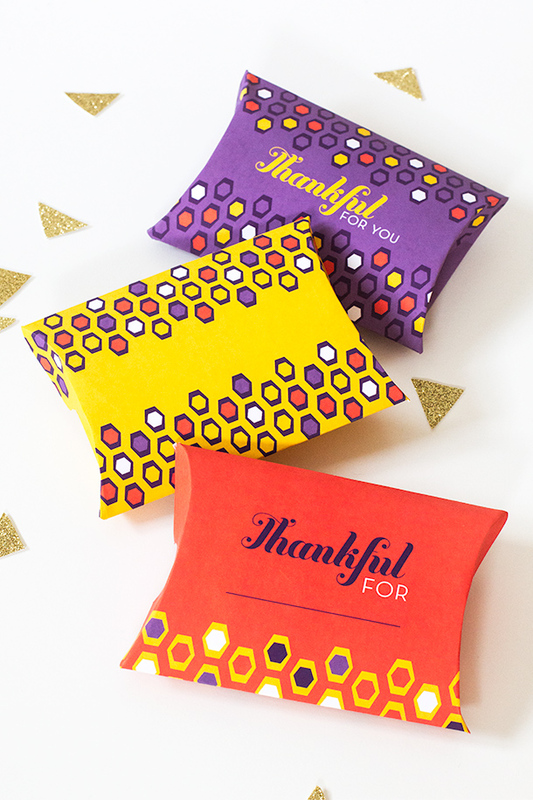 Sarah at Sarah Hearts has these “Thankful for ___ ” pill boxes. You can stash a crayon and one of Spoonful’s Thankgiving Neighborhood Scavenger Hunt kid printables inside and hand them out when the kiddos get restless, family’s getting on your nerves, you know you’ll need to button your pants for some family shots or you’re hoping to avoid clean up duty. Ok…I know…they’ve all been Thanksgiving based till now but really…you’ve the WHOLE crew there…the complainers are stuffed…they’re not going to be moving so much, the kids have burned off some energy and your pants can be buttoned again so get everyone together, snap a pic and bring on the Christmas music! With this customized Christmas photo card template made by Sara of Becoming Martha and hosted on Leanne of OrganizeYourStuffNow blog…you’ve saved hours of organizing people and schedules, postage and addressing a bajillion cards. I know…I’m a genius! Don’t forget to add your link and check out Thaleia’s 5 Friday Freebies at Something2Offer too! Be a rein-deer and take a moment to tweet, pin or check out one of my pinterest boards. I’ve some snazzy holiday boards that will help you gobble till you wobble, spin the dreidel and/or sing Christmas carols. What a great idea to post freebies like this! Those cards are super cute!